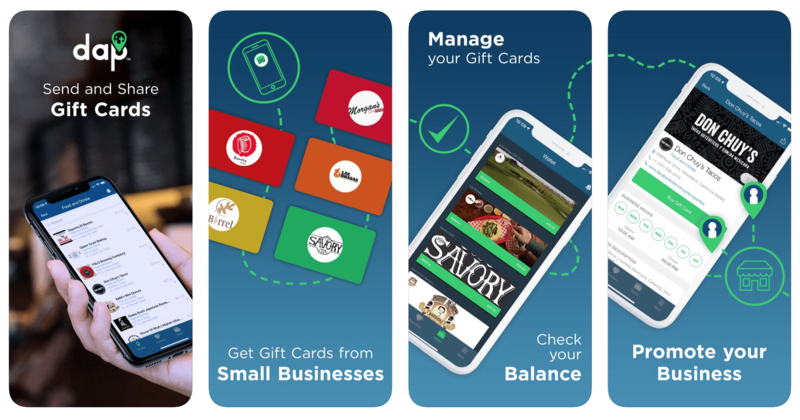 DapIt is one of the newer gift card management apps available for download on both Android and iOS platforms. 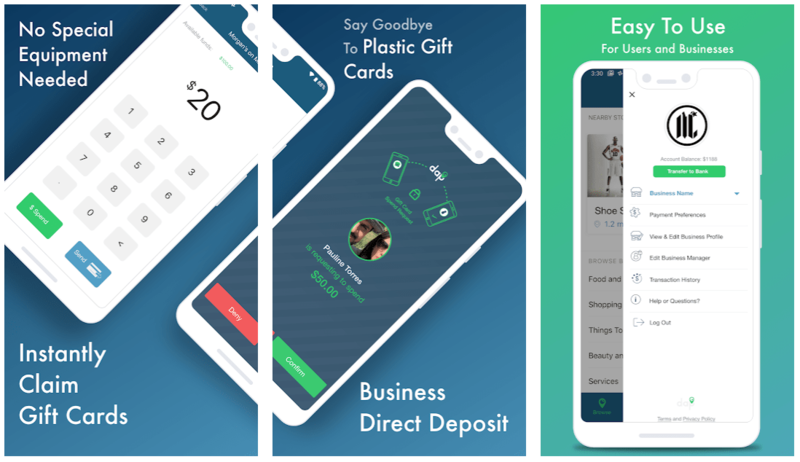 It acts as a virtual wallet for all your gift cards and allows users to share, send or redeem the appropriate gift card on their favorite merchants. Downloading the app is free. Inside, you will need to register via email and mobile number before you can start using it. The gift card exchange section is a novel idea for a problem we all encounter when we receive GCs that we may never use. For example, how many times were you given a gift card that you don’t want? It could be a card from a health store that’s a hundred miles away, or one from a coffee shop when you’d prefer to have tea. In these cases, DapIt can exchange that worthless GC into cash by opting to trade-in your unwanted gift card. Buying a gift card for friends, family and coworkers has never been easier when you use the DapIt app. Moreover, prices are guaranteed the lowest there is. Get started by tapping the Browse menu and looking for the merchant you want. DapIt houses a good number of local shops, restaurants and novelty stores that offer GCs. Go to the appropriate store then tap on “Buy Gift Card” and enter the amount. The transaction is completed in a few seconds, and you’ll have the ability to send it via email or text. 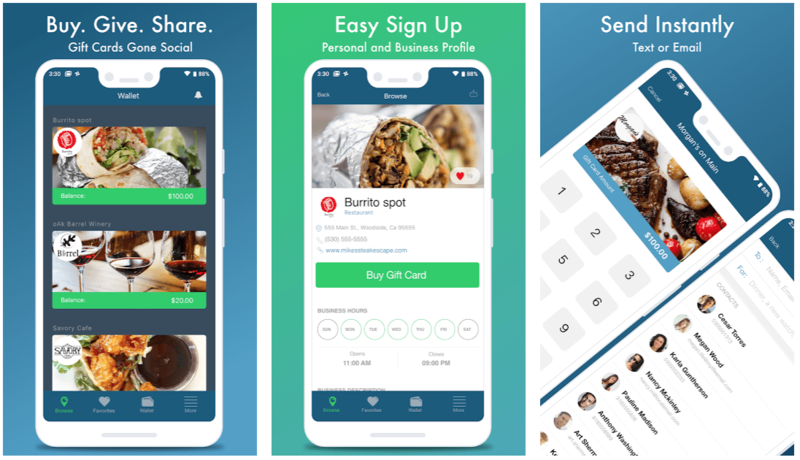 You can even get alerts whenever your friends check in at a participating business and take them by surprise with a real-time gift card to use! Received a DapIt-sponsored gift card from well-wishers and friends? Redeeming is fast, easy and intuitive. Visit the retail store and pick the item of your choice. Open the app, find the wallet icon and choose the appropriate gift card. You can pay partial or the full amount, depending on the cost of the product or service. When you’re satisfied, tap the Send and the employee should be able to work it on their cash register. DapIt can be a powerful tool for local business marketing as it increases reach while giving your customers a way to try your products or services. Download the app and enter business credentials such as your shop’s physical address, email address, logo and bank account details. Further instructions on how to register will follow. Afterwards, you’ll be ready to start selling GCs, increasing sales and profit as you build customer loyalty.